Margaret E. Köstenberger graduated from McMaster University with a BSc in Nursing and completed an MA in Intercultural Studies from Columbia International University where she met her husband, Andreas J. Köstenberger. She and her husband subsequently moved to Chicago where Andreas worked on a Doctorate in New Testament under D. A. Carson at Trinity Evangelical Divinity School. After two years at Briercrest Bible College in Saskatchewan, Canada, they returned to Trinity for a year before settling in North Carolina for the next two decades. In 2006, Margaret completed a Doctor of Theology through the University of South Africa. Margaret’s dissertation on the topic of feminist hermeneutics has been published in revised format by Crossway as Jesus and the Feminists: Who Do They Say That He Is? Margaret and Andreas have co-authored God’s Design for Man and Woman as well a new book on parenting, Equipping for Life: A Guide for New, Aspiring, and Struggling Parents. 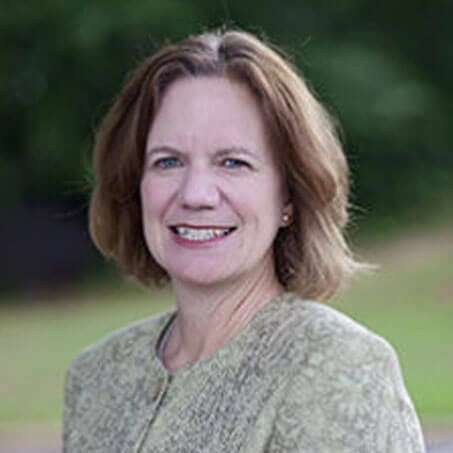 Margaret has taught previously at Southeastern Baptist Theological Seminary and Shepherds Theological Seminary, where she served as Associate Professor of Theology and as Director of Women’s Programs and Mentoring. Her main passion is mentoring women to embrace their unique God-given role and to equip them to serve their families as well as other women. Margaret and Andreas have four children, Lauren, Tahlia, David, and Timothy and have enjoyed homeschooling and serving in ministry together as a family.